West By Opera’s production of Donizetti’s L’elisir d’amore (The Elixir of Love) opened on Valentine’s Day and closed last Sunday. Four sold-out houses and many local critics enjoyed themselves immensely, but perhaps not quite as much as the cast and crew of this production. That’s me in black at the center of the photo during my big moment in the opera. 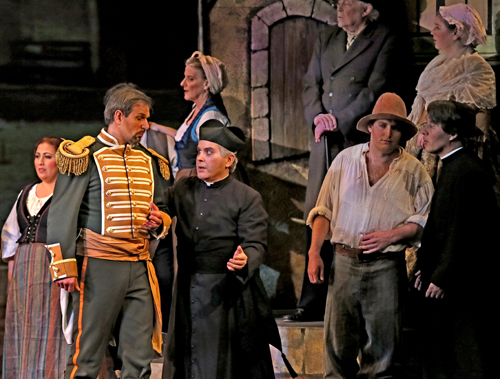 During the Act I Finale, sergeant Belcore gets very irritated at his rival Nemorino’s reaction to his plans to marry Adina. Belcore is coming over to pulverize Nemorino into dust, but the village priest intervenes, breaking up the fight and then counseling Belcore. Sometimes I told Belcore about how love and military discipline will let him take the higher path when confronted with the crazy Nemorino. Other times I just reminded him that you can’t kill the tenor at the end of Act I when we have all of Act II – including Una furtiva lagrima – left to go. Of course there’s nothing in the L’elisir d’amore libretto about a village priest. But L’elisir takes place in a rural Italian community, and director David Cox populated it with all sorts of specific people: priests, bakers, butchers, winemakers, farmworkers, rich folks, and more. West Bay Opera hires a lot of directors who aim for detailed work out of the chorus, and having seen many productions from the audience I know that it really pays off. The stage is so much more alive in chorus scenes that way. It was an easy choice to join the L’elisir d’amore chorus with such a production dream team. David Cox is a brilliant comic actor, opera singer, and opera director. He directed our Turandot 3 years ago and I’d obviously learn a lot and have a lot of fun working with him. Chorus director Bruce Olstad has been instrumental in raising the vocal standards of the West Bay Opera chorus to a new level of beauty. Maestro José Luis Moscovich does double duty as music director and general director, ensuring continuity with a consistent opera aesthetic that I find very congenial: focusing on the intimate stories of these characters, even in huge operas like Turandot and Aida. This is the type of thing that a small house like West Bay can do with much greater intimacy than any large house. And I knew I could count on costume designer Callie Floor to make the whole cast look great even with the restrictions of a small budget. When you have all these great people you attract a lot of talent, in the principals, the chorus, the orchestra, and the crew. My wife JoAnn and I have sung in many West Bay Opera productions over the years. We both agreed that, top to bottom, this was the finest chorus we have sung with here. Our cast was headed by Maria Brea as Adina, Igor Vieira as Dulcamara, and Chester Pidduck as Nemorino. We’re making art with lots of friends; people we’ve sung and performed with for years, as well as many new friends we sang with for the first time. To make such fine music and drama with a great group of friends is a total delight. Next up at West Bay Opera is Mozart’s Die Zauberflöte. Our Belcore and Giannetta will be back, as Krassen Karagiozov sings Papageno and Molly Mahoney sings the Second Lady. Kirk Eichelberger, bass superstar of many West Bay Opera productions, will return as Sarastro. Michael Desnoyers, our Pang in Turandot, will be back as Monostasos. They will be joined by many other new and old friends in both the principals and chorus. I can’t wait! Photo by Otak Jump, cropped by Michael Good. The world of music notation software has lost one of our pioneers. Leland C. Smith, creator of the SCORE music printing system, died on December 17, 2013 at his home in Palo Alto, California. Leland had many roles in his life, including composer, Stanford professor, CCRMA researcher, bassoonist, software developer and publisher, husband, father, friend, and colleague. SCORE was his primary claim to fame in the larger musical world. First released for MS-DOS systems in 1986 after years of development, it became the first computer application that established music publishers used to produce high quality musical scores. Two of its main competitors in the 1980s and 1990s, Finale and Music Printer Plus, followed two years later. SCORE’s parametric approach to music notation was directly modeled on the Music V family of languages, developed for computer music synthesis by Max Mathews. The first music notation software that I wrote, the Scot score translator for Music 11 and Csound, was also a direct descendant of the Music V language. So Leland and I, like so many others, are both indebted to Max for our beginnings in the music software application world. I met Leland for the first and only time nine years ago. 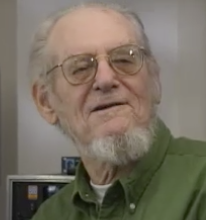 It was at a Computer History Museum event on “Music Meets the Computer” that featured Max Mathews, John Chowning, and Curtis Roads on the panel. SCORE both pioneered the graphical model of music notation software in a commercial application and pushed it as far as it would go. SCORE was originally designed solely for music printing and typography, and uses a graphical, page-oriented model of music notation similar in organization to PostScript. In contrast, Finale and Sibelius use a semantic model of music notation rather than a graphical model. This allows both programs to handle composition, arrangement, music preparation for both print and digital, and integrated playback in a way that SCORE could never achieve. Leland’s pioneering spirit and achievements will be greatly missed. While SCORE itself was largely a one-person development project, several independent developers such as Jan de Kloe and Thomas Brodhead have developed important SCORE utility programs over the years. In particular, Jan de Kloe’s programs to convert back and forth between SCORE and MusicXML files help to keep Leland’s legacy alive for the digital sheet music age. On November 4, MakeMusic released Finale 2014, the latest update to our flagship music notation software. The first version of Finale was released 25 years ago, and you can now see a promotional video for Finale 1.0 on YouTube. 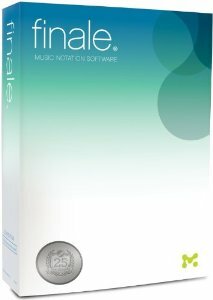 Many notation software products have come and gone over the past 25 years, but Finale and MakeMusic are still here, delivering top-notch professional music notation to our customers. One of the most prominent features of Finale 2014 is its brand new file format which is now forward and backward compatible. In the past, Finale could read files created in older versions, but not files created by newer versions. A Finale 2011 user, for instance, could read files created by people using Finale 2010, but could not read files created by people using Finale 2012. The best way to move backward to an old version was to export the file to MusicXML from the new version of Finale, then import the MusicXML file into the older version of Finale. MusicXML works very well as an interchange format, but it is software-agnostic. Any program that uses music notation has its own ways of representing music that is optimized for how that application works. So while MusicXML transfers could give high fidelity for how the music looks and sounds, it could not transfer exactly how this was done in Finale. MusicXML export from Finale also includes more formatting than what is supported in MusicXML import into Finale, so formatting details would also be lost. Finale’s old file format dated from the days when disk space and CPU time were scarce commodities. It was optimized for space and time efficiency at the expense of not being able to read files from newer versions. Times have changed, and full forward and backward compatibility has long been one of the most frequent Finale feature requests. Finale 2014 now delivers this to our customers. Of course, if we just claimed that our format was now forward and backward compatible in Finale 2014, how would customers know? Would they have to wait until the next version of Finale is released? We knew we had to demonstrate this technology in action and give customers the benefits of compatibility now, not later. So we used the same extensible file format technology to offer an option to export back to Finale 2012. The export feature uses the same techniques we will use to read files from newer versions into Finale 2014. It just needed to add the extra step of converting the file back into the old Finale 2012 format. Theoretically we could have done the same thing to export to even older versions of Finale. Practically, though, this would have been a much larger effort because of the changes between Finale 2011 and 2012 to add Unicode support. Rather than take away development time from other new features in Finale 2014, we decided to restrict the export to older versions to Finale 2012. Since I joined MakeMusic two years ago as part of the Recordare asset acquisition, most of my time has been spent architecting and co-implementing the new file format. It is most gratifying to finally get this out to our customers and see the positive reactions to our efforts. I’ve referenced the Music at MIT Oral History Project several times here over the past few years. These interviews with so many of the people who have been central to music at MIT for the past 60 years are a tremendous resource. They include many deep discussions about music, music education, and music history that go way beyond the specifics of music at MIT. I was able to get copies of the interviews of three people who influenced me tremendously as an MIT student – John Corley, John Bavicchi, and Herb Pomeroy – by visiting the MIT Music Library and knowing librarian Peter Munstedt and oral history associate Forrest Larson. But now everybody can get these interviews, plus the transcripts. The Music at MIT Oral History Project has now grown into the Music at MIT Oral History Collection. This web site is just fantastic. You can download the MP3 recordings and PDF transcripts of each interview, or listen to the interview on the site in a video that uses captioning to sync the interview with the transcript. Most of the interviews are audio recordings, but some later ones are video recordings. I posted the Herb Pomeroy discussions linked above within a few months of getting back from the MIT Lewis Music Library with CDs of the interviews in hand. I always meant to post something from John Bavicchi’s interview on how to write dissonant music for choruses, but it eventually became too much work to find it. Not any more! I downloaded the transcripts for the two interviews, used search in Adobe Acrobat, and found what I was looking for in just a few minutes. So that posting should be finally be arriving soon. The MIT staff has done outstanding work to make these interviews easy to use for musicians, alumni, and researchers. Best of all, anybody can access it! You don’t have to be behind an MIT firewall or have a special MIT Library account. This innovative, open access digital collection is a tribute to the leadership and staff of the MIT Music Library, and to the leadership of the MIT Libraries as a whole. 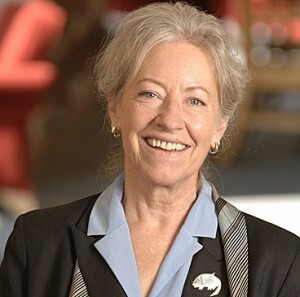 The Libraries suffered a serious blow this month with the death of Ann Wolpert, Director of Libraries at MIT. As the MIT news office’s obituary describes, she was a pioneering leader in moving research libraries into the digital age. The Music at MIT Oral History Collection is just one example of the research library transformation that Ann Wolpert championed. My wife and I had the great privilege of meeting Ms. Wolpert for lunch a few years ago. She will be sorely missed. My condolences go out to all her family, friends, and colleagues for their loss. My final subscription concerts of the season with the San Francisco Symphony Chorus are happening this weekend. Michael Tilson Thomas will conduct us in Beethoven’s Missa solemnis. Our soloists will be soprano Laura Claycomb, mezzo-soprano Sasha Cooke, tenor Michael Fabiano, and bass-baritone Shenyang. They are sounding fabulous in rehearsals, both on their own as well as in their wild and intricate ensembles. The concerts start with the chorus singing the Kyrie, Gloria, and Agnus Dei from Palestrina’s Missa Papae Marcelli, conducted by Ragnar Bohlin. The performances are Friday and Saturday, May 10 and 11, at 8:00 pm at Davies Symphony Hall. Tickets are available online and at the box office. We performed the Missa solemnis two seasons ago. This was the first time that a lot of people on stage had performed it: it was the first time MTT had conducted it, the first time Ragnar Bohlin had prepared it, and the first time that many in the chorus and orchestra had performed it; it hadn’t be done at the Symphony in 16 years. Those performances still had a lot of discovery about them, and received some of the least favorable reviews since I’ve been in the Chorus. It has been such a joy to come back to this piece and be able to take it to the next level. Things that gave me trouble before are now going much better, both due to familiarity and improved singing technique. Our solo quartet is also better suited to this piece, with fresher voices and better listening to one another. People sometimes wonder why come back to a piece so soon after it has been performed. I think this will be a great example of the power of withdrawal and return. When you immerse yourself in something — whether a technical issue in engineering, or performing a masterpiece of the musical repertoire — it is so productive to get away from it for a while and come back to it from a renewed and refreshed perspective. In music we can work with a longer timeframe than in engineering, but the process sure feels similar to me. Coming back to the piece allows for both greater depth in interpretation and greater polish in performance. There are only a few tickets left for these two performances, so get them quickly. I think these will be performances to cherish. April is turning into a very musical month. First, tonight is your last chance to hear a marvelous San Francisco Symphony program including Handel’s Ode for St. Cecilia’s Day and two Mozart works: Ave verum corpus and the Symphony No. 39. Bernard Labadie conducts and the soloists are soprano Cyndia Sieden and tenor Nicholas Phan. Tickets are still available online and at the box office. Many members of the orchestra have solos in the Handel, including an amazing cello solo by Peter Wyrick. Maestro Labadie has the Symphony really playing like a baroque band in the Handel. The stylistic flexibility of the orchestra musicians continues to amaze. Tuesday is a special landmark for me. That’s the day the San Francisco Symphony releases the first recording I’ve made with the Chorus: Beethoven’s Symphony No. 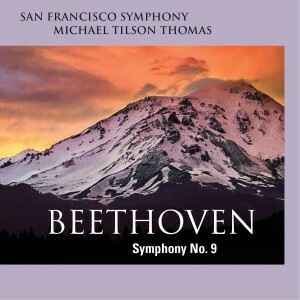 9, conducted by Michael Tilson Thomas. The soloists are Erin Wall, soprano; Kendall Gladen, mezzo-soprano; William Burden, tenor; and Nathan Berg, bass. This is a hybrid SACD that plays on all CD players; it’s also available via downloads. Having just listened to an archive recording of one of the live concerts, I suspect this will be an excellent recording. 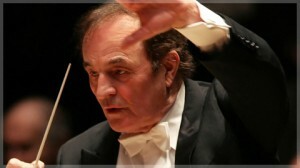 The Symphony has posted a video trailer online at YouTube. You can see me briefly at 2:41, in the third row back in the chorus, the first tenor to the right of the altos. That’s my usual spot in the chorus; I love being a “border person” and hearing the other parts. The next day, Musikmesse begins in Frankfurt. I’ll have some very full days of meetings there with many different members of the MusicXML community: commercial developers of mobile and desktop sheet music products, publishers tracking the latest in digital sheet music technology, and university researchers. MusicXML is at the center of much of the most exciting work in digital sheet music and Musikmesse is a great place to catch up with everyone. This year we will also be having a MusicXML workshop and community meeting. Hosted by Scorio, the workshop will be held on Friday, April 12 from 11:00 am to 1:00 pm in the Musikbiz Workshop room, accessible from Hall 5.1. The MusicXML community meeting we had at NAMM in January went very well, and with the greater number of notation developers in Europe we might have even more people attending at Musikmesse. This should be a great week of music technology, following a wonderful weekend of music making. 10 – in Davies Symphony Hall. The Sunday concert is at 2:00 pm while the rest are at 8:00 pm. Tickets are available online and it looks like some good seats are still available. If you like to hear a lot of chorus singing, this concert is for you. The chorus sings practically non-stop throughout both works; the solo roles are fairly small and there is not much music for the orchestra alone. If you are a fan of the combined colors of organ, orchestra, and chorus, the Berlioz Te Deum offers lots of that. The Poulenc has lots of a cappella singing. Both works are beautiful but are not that frequently performed. This will be the first time the San Francisco Symphony has ever performed the Poulenc, and the Berlioz was last performed by the Symphony about 40 years ago. This will be a great concert for fans of French choral music. MakeMusic is pleased to be hosting the first-ever MusicXML community meeting at this year’s NAMM Show in Anaheim, California. The meeting will be held on Friday, January 25 from 5:00 pm to 7:00 pm in the Anaheim Hilton. We will be meeting in the Malibu Room on the fourth floor, and light refreshments will be served. MusicXML progress over the past year. This includes MakeMusic’s MusicXML documentation project, as well as new and improved adoption of MusicXML during 2012. Future directions for MusicXML. What is most important to move the format forward so that digital sheet music interchange works better? More features? A tighter specification? Better documentation? More comprehensive examples and test suites? Further improving MusicXML support within Finale as a reference implementation? Or are things working fine as-is? We discuss future directions on the MusicXML mailing list, but in-person discussions always have a different flavor than online discussions. I’m looking forward to learning more about the community’s desires for the future of MusicXML at this meeting! If you are coming to the show but cannot attend the meeting, or want to discuss MusicXML issues one on one, please stop by our booth 6210 in Hall A. I am usually in meetings during most of the show, but I still have a few times free to meet and talk. Please leave your contact information with someone at the booth, and they will forward it on to me so we can set something up.